Goa is one of India’s most popular tourist destinations, so it is no surprise that the state houses some of the country’s most popular restaurant joints. While there are many restaurants serving authentic Indian cuisines, there are many other restaurants that boast European, American, Chinese and other Asian delicacies, all cooked to perfection with fresh, local ingredients. 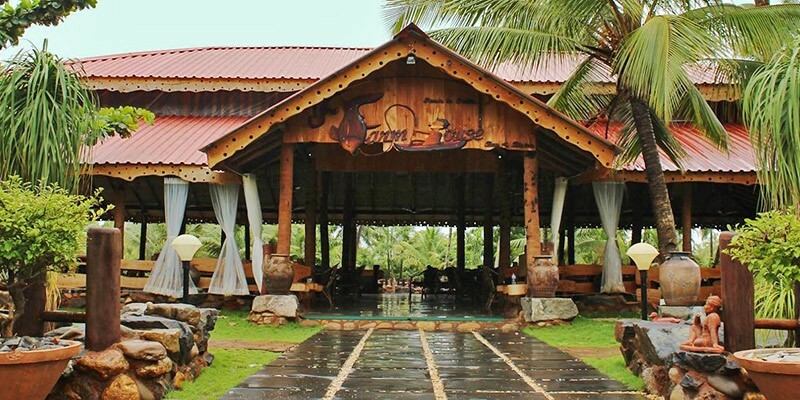 This list put together some of the lesser known places to eat in Goa, not popularly frequented by tourists, but ones that serve scrumptious and delectable meals, nonetheless. All these restaurants take simple, well-known cuisines but do an innovative take on them- one that will surely excite any foodie’s taste buds. Ku is a boutique hotel located right next to the gentle sea waters of the Morjim Beach. The restaurant promises to make its guests feel one with nature. Complete with bamboo and palm tree decorations, Japanese style cottages with sliding screen doors, and large, crystal clear ponds, this garden restaurant is the perfect place to enjoy a nice, long, quiet lunch, away from the hustle and bustle of the more popular tourist joints. There is an open-air dining area and a small reading area. For those tourists who want to sit and relax for some time, before indulging in the restaurant’s delicious fresh sea-food dishes. 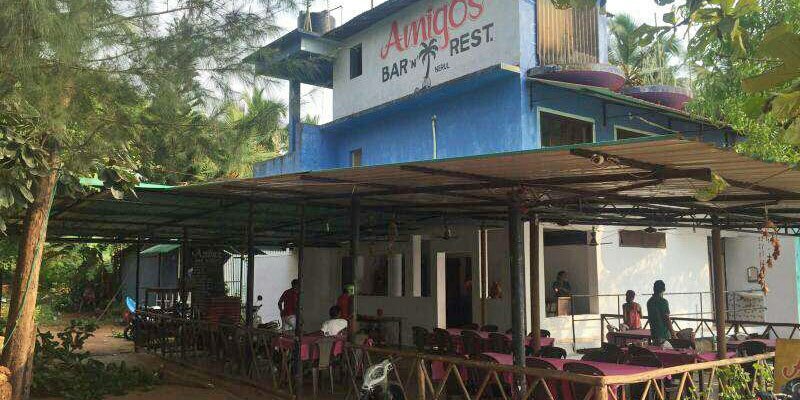 Located near the banks of the Nerul River, this is one of Goa’s most unique eating joints. They have a blackboard menu. The restaurant organizes frequent 2 hour long fishing and crab catching trips on the Nerul River. The staff later whisk up a scrumptious meal for their guests out of whatever seafood their guests managed to catch that day. 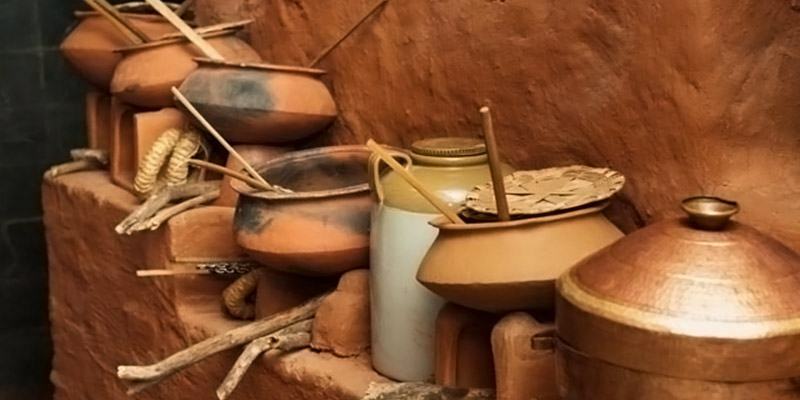 The preparation is not too rich so visitors can enjoy a home-cooked style meal sitting next to the gurgling Nerul River. The freshly caught crabs, sautéed in garlic butter sauce and served with piping hot fries, is a true delicacy in this restaurant. Restaurant Mum’s Kitchen is a great restaurant right in Panjim with an outdoor seating. A quirkily decorated space, the dining area is has great lighting and ambience for a romatic evening. Dim lanterns decorate the restaurant, adding to its enchanting, ethereal ambience. Mum’s Kitchen offers a wide variety of interesting fusion cuisines that take inspiration from Asian, European and American gourmet style cooking. They also serve a host of fresh cocktails that use a unique and innovative mix of flavours, sure to excite any traveller’s taste buds! Most of their ingredients are organic thereby ensuring their food remains fresh and scrumptious at all times. 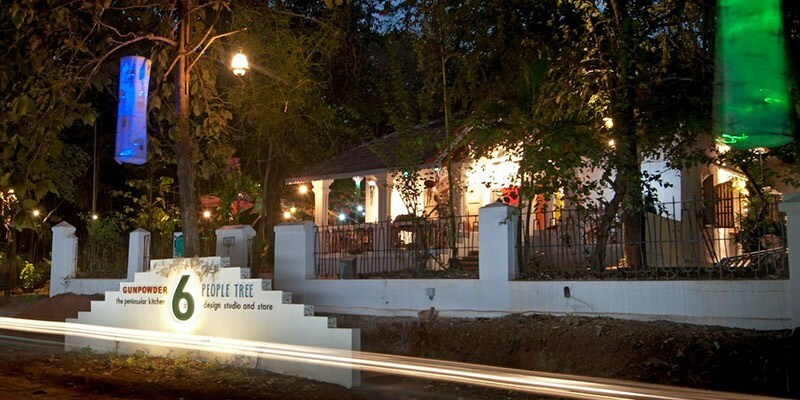 With live music and performances, an open bar and a wide garden seating area, Bean Me Up provides travellers with the best open air dining experience in Goa. Visitors get to sit on cane chairs while nearby, peacocks and monkeys scurry up, down and in between trees. Bean Me Up specializes in unique Tofu, Tempeh and Seitan dishes that take inspiration from different culinary styles around the world, including Mediterranean, American and European cuisines. The Citrus Soba Noodle Salad is highly recommended here, as is the deliciously rich, chocolate flavoured almond milk. Warm, soft pizzas and homemade ravioli and lasagne are also a speciality here. Visitors here are treated to some soft, live jazz music as they sit around in a village tavern-style restaurant. Although the restaurant serves a wide variety of mouth-watering Thai, Goan and Continental dishes, the fresh Seafood Glass noodles is a highly recommended delicacy here. The bar serves a wide assortment of cool beverages, perfect for beating the sweltering summer beach heat. The bistro is reminiscent of Portuguese style architecture, complete with wooden staircases and broad verandas that make for a very comfortable sitting and dining area. This unique destination combines elements of a small coffee shop with that of a bookstore so guests can enjoy a casual read whilst sipping their rich, creamy coffees. 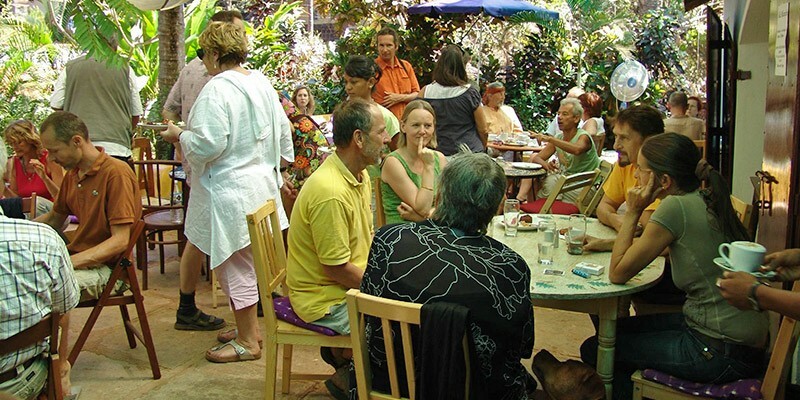 They also have a small dining area out in the garden that serves piping hot breakfasts, lunches and even brunches. For guests wishing to indulge in something lighter, the cafe has a range of tasty evening snacks, also. For the foodie travellers, Cafe Literati has a wide range of dessert options and an array of pizzas, pastas and other Italian cuisines, served with the most delicate bottle of wine. 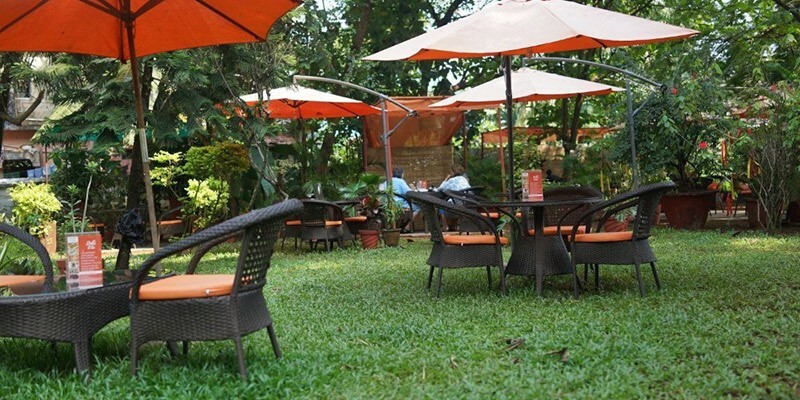 The Villa Blanche is a quaint little bistro serving a lavish array of teas, coffees and pastries. The spinach lasagne and apple pie are a must for anyone visiting this cafe. Their fresh milkshakes and sweet fruit juices are a true delight in Goa’s summer heat and their unique gluten free pancakes are pretty popular, too. They bake their bread fresh every morning, so a warm piece of bread with a chocolate spread or jam will make for the perfect breakfast. Their dining area is indoors but the seating arrangement is very comfortable, complete with wooden chairs, soft sofas, round tables and a blackboard menu. Also Read: Why Goa Is One Of The Best Honeymoon Locations? 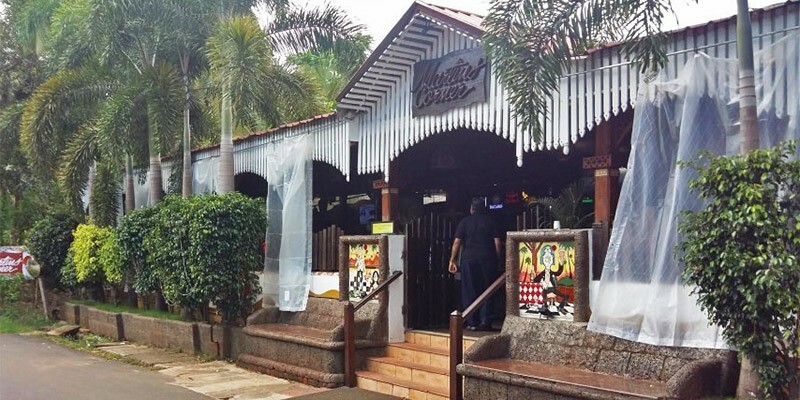 Located in a relatively isolated area, Martin’s Corner is not a very heavily frequented tourist destination, so is perfect for those looking for a quiet lunch away from Goa’s hustle and bustle. However, the restaurant is pretty popular amongst the locals and many notable celebrities do visit the restaurant from time to time. 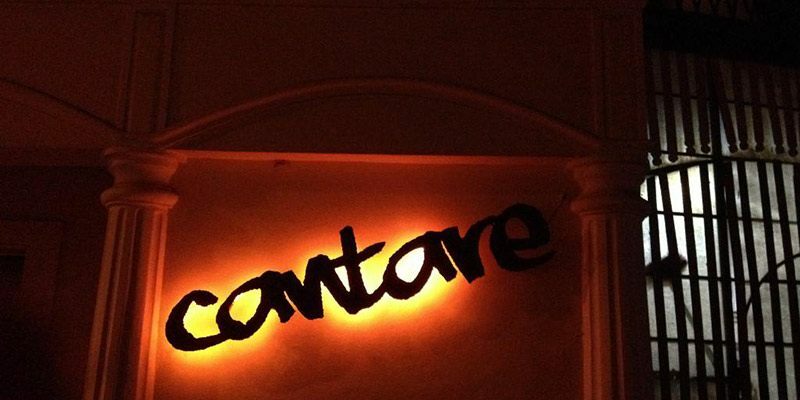 Guests can enjoy live music and karaoke under the soft candescent lights while indulging in delectable sea food items or mouth-watering North and South Indian delicacies. For those looking for slightly lighter options, this restaurant also serves a wide variety of Continental items, all cooked with fresh, local ingredients. With a lavish spread of cuisines from all around the world, the Farmhouse Bar and Bistro specializes in North Indian, Chinese, Continental and Goan cuisines. The deep fried Calamari Rings served alongside mouth-watering Pork Chops and topped off with a glass of whisky will make for the perfect dinner at this bistro. The restaurant offers its guests opportunity to fish in their nearby pond, and turn their fresh catch into a scrumptiously delicious meal. 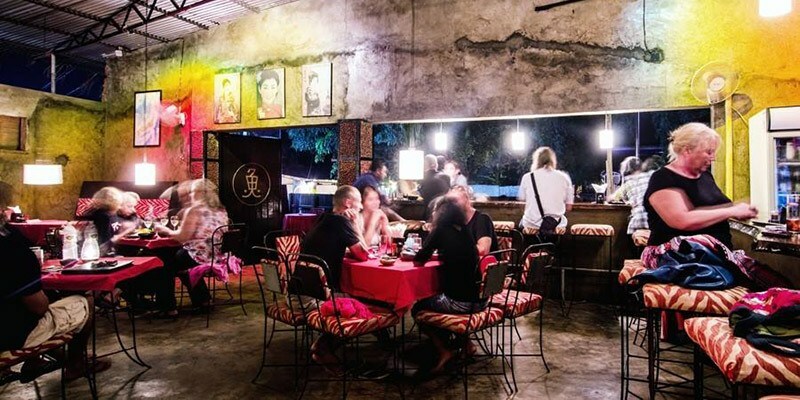 The restaurant has wooden finishing, a matte roof decorated with candescent lanterns, cane chairs, and large, wooden tables- perfect for families looking to spend a fun night dining out. 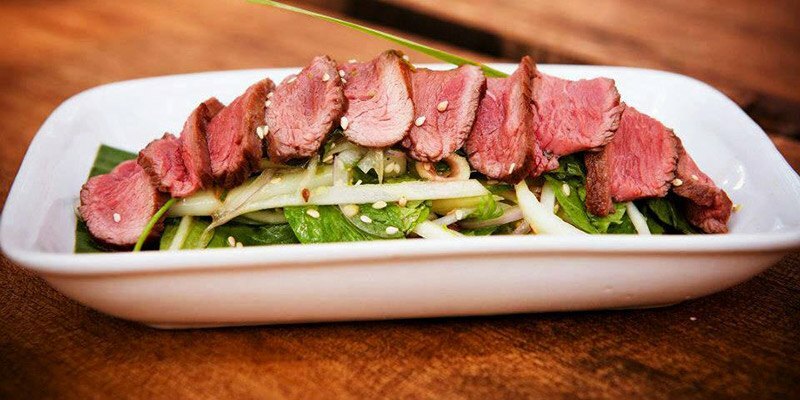 One of the best restaurants in Goa serving authentic Japanese food, the Sakana Restaurant is renowned for its delicately wrapped, moist salmon roles and grilled beef. The sweet, almond flavoured Amaretto liquor is a perfect drink with which to beat the summer heat! Sakana also serves innumerable kinds of sushis, mouth-watering chicken teriyaki and delicious udon noodles. Small cherry blossom plants and tiny bamboo trees complete the decorations in this restaurant. With friendly staff, good food and intricate Japanese decor around you, the Sakana restaurant will let guests experience some of Japan’s most renowned cuisines, right here in India. 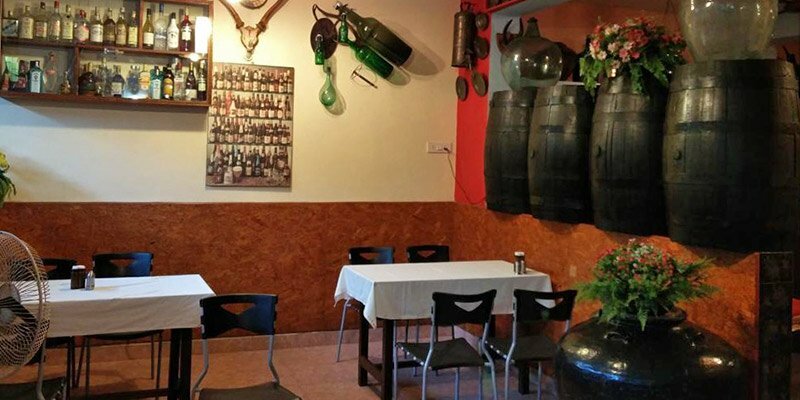 This restaurant specializes in authentic Goan food, their butter garlic squid, the crispy whitebait fish and the sweet Serradura milk pudding, being the most popular dishes here. A rather small, quaint little place, the Bhatti Village Restaurant is the home of a local Goan family that has been turned into a restaurant. It is family run, with the husband taking the orders, the wife doing the cooking and the children serving the tables. Their sea food is freshly caught daily and their menu changes every day so visitors never know what kinds of dishes to expect- a truly exciting experience for any traveller! 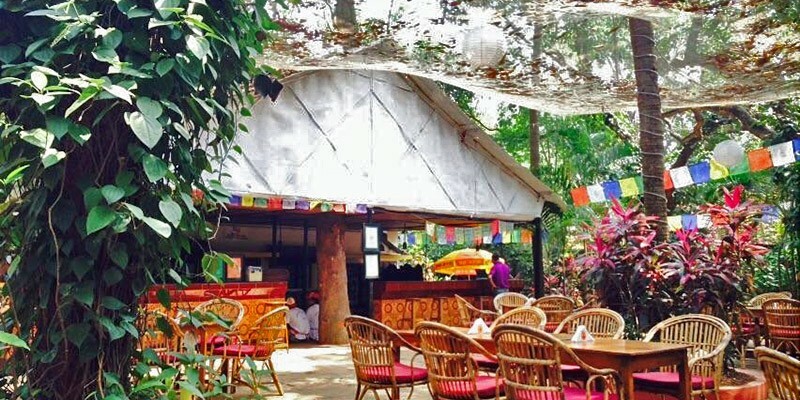 Goa’s only Persian restaurant, Cafe Tehran has an open-air seating arrangement. Alternatively, guests can lay back cross-legged on one of the cushioned diwan’s inside the cafe. 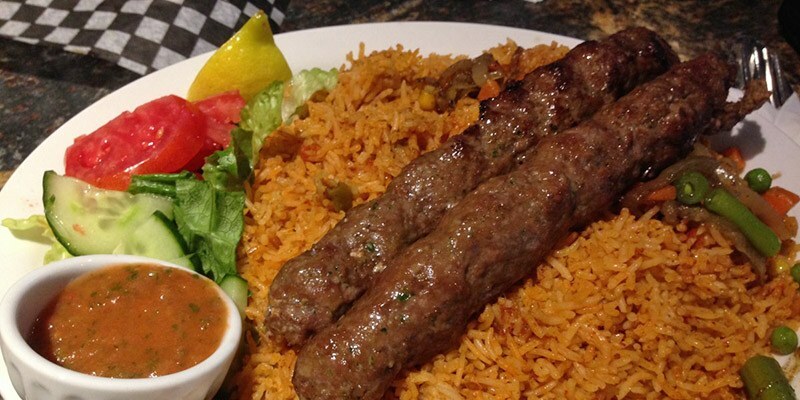 The owners have tailored some well-known Persian dishes to suit the local taste buds but ensured the food remains as true to the original as possible. Farsi writing adorns the walls of the cafe, accentuating the cafe’s Middle-Eastern appearance. The Taftoon- an Iranian Naan- served with a hot plate of kebabs makes for the perfect dinner. The Khagineh- a sweet pancake soaked in saffron syrup- is the perfect way to top off your meal. Truly an indelible experience, Cafe Tehran taken authentic Persian cuisine and does an interesting Goan take on them! 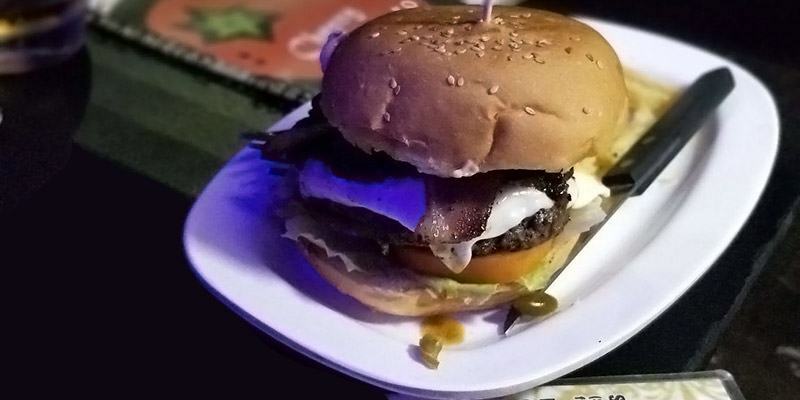 A small joint, Cherry Tomato makes some of Goa’s juiciest and meatiest burgers. Their Chicken Cafriel Burger, served alongside crispy French Fries and a large glass of ice-tea, will be a perfect lunch for any weary traveller. They also have an array of delicious vegetarian dishes, although nothing beats their giant, four layer and four patty burgers. Cherry Tomato also serves a wide variety of fresh pastas and hot dogs. With an extensive range of mock tails, shakes and sodas, perfect for beating Goa’s sweltering summer heat, the Cherry Tomato restaurant is the best destination for tourists looking to enjoy some American and Italian classics! 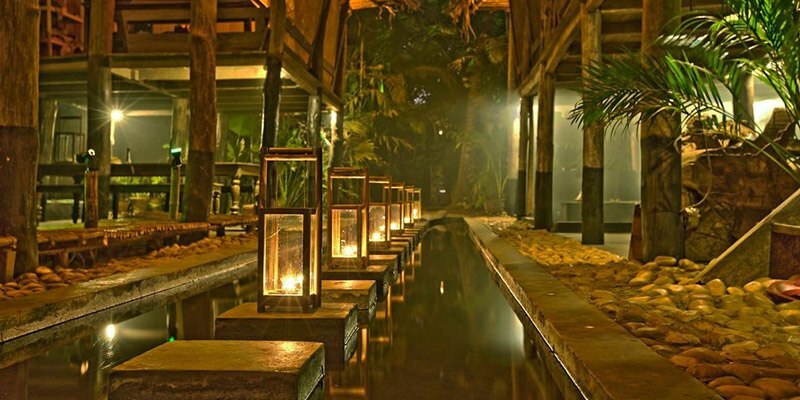 A south-Indian garden restaurant, adorned with hammocks, dim lighting and bamboo decorations, the Gunpowder restaurant draws inspiration from Tamil Nadu’s Chetinaad cuisine. They have a large, outdoor shed, where visitors can enjoy their hot meal under the canopy of a broad, dry, palm leaf roof. The restaurant itself is villa-style and offers a warm, homely environment. Their spicy Chicken Korma goes deliciously well with some warm Malabar Parathas and coconut mock tails. Their beef and mutton dishes are popular too, as is their sweet, delectable Mango Pannacotta. Gunpowder promises a taste of South India’s finest cuisines, cooked to perfection and served piping hot. Specializing in a range of Burmese, Goan and European cuisines, Bomra’s is the perfect destination for families or large groups looking to spend a nice, long evening, dining out. Their seafood specialities- the scrumptious prawn curry and crab meat- is very popular here and to top of their meal, visitors can choose from an array of desserts although nothing beats the famous coconut pannacotta or the crème brulee available here. They have both, an inside and an outside seating area, complete with cane chairs and candescent lighting. With delicious food, warm staff and a pleasant ambience, Bomra’s promises its guests the most exquisite dining experience. The New York special cheese cake in here will sweep you off your feet! So does other delicacies like the Moroccan style red snapper filet, the special Middle Eastern Thali, Baba Ganoush, Roasted Peppers, Black lentils and many more salads… The aged-beef filet mignon – grilled to perfection! Lemon saffron chicken, Beef kebab, Fish & Chips all most everything in here will make your tongue dancing. With a backyard full of rabbits, ponies, ducks and guinea pigs and an entry which is a landmark in itself Goa’s ark will provide you with an asylum with a vibe to escape the flood!